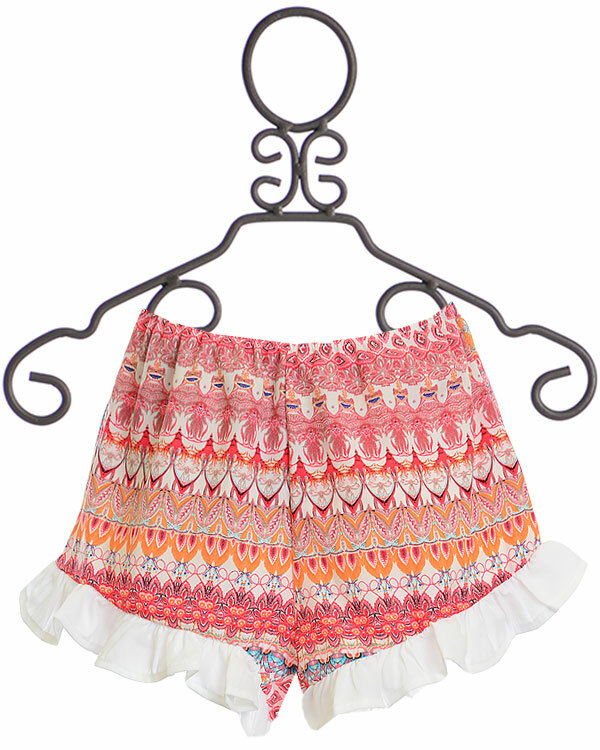 $24 - A sweet design that keeps her cool, these tween shorts are a new creation from PPLA. The fun pattern is filled with shades of blues, purple, pinks and coral, keeping up with the season's trends. White ruffles at the hem and the elastic waist is easy for tucking. 100% Polyester. Hand Wash Cold, Lay Flat to Dry. Made in the U.S.A.